The government is coming after Christians. We now have evidence that the Democrat Party is seeking to subvert the Catholic Church. We see judges ruling that crisis pregnancy centers must refer for abortion. We see that you can not be a Christian and a business owner. But there are many Christians still standing up (or kneeling down) for their faith. 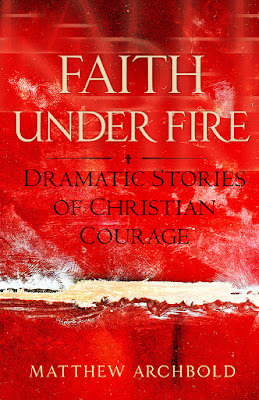 I've detailed the stories of some of them in my book "Faith Under Fire: Dramatic Stories of Christian Courage." Thanks to all who reviewed it. I've been talking a lot about the book on the radio recently and inevitably the conversation comes to bringing hope in these dark times. We're called to be light. And these 18 profiles do that, I hope. These are stories of regular modern people who, at least for one moment, reflected God's light in a shattered world.